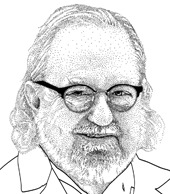 James Allison, PhD, whose work led to the development of cancer immunotherapies known as “checkpoint inhibitors,” will deliver the next Flexner Discovery Lecture on Thursday, March 8. His lecture, “Immune checkpoint blockade in cancer therapy: new insights and opportunities, and prospects for cures,” will begin at 4 p.m. in 208 Light Hall. It is sponsored by the Vanderbilt-Ingram Cancer Center. Allison is the Vivian L. Smith Distinguished Chair of Immunology, director of the Parker Institute for Cancer Immunotherapy and executive director of the Immunotherapy Platform at the University of Texas MD Anderson Cancer Center. Allison has spent his career studying immune system T cells and their responses. His discoveries include the determination of the T cell receptor structure and elucidation of the role of CD28 in activating T cells. He proposed that blocking the molecules that “put the brakes” on T cells, known as immune system checkpoints, might unleash the power of the immune response against many types of cancer. His team conducted preclinical experiments to demonstrate the therapeutic potential of such an approach. Their research contributed to the development of ipilimumab, the first FDA-approved immune checkpoint therapy, which is now used to treat metastatic melanoma, renal cell carcinoma and lung cancer. Allison and his colleagues are currently working to improve existing immune checkpoint therapies and to identify new immunotherapy targets. Allison is a member of the National Academy of Sciences and the National Academy of Medicine. His many honors include the Lasker-Debakey Clinical Medical Research Award in 2015, the Balkan Prize in 2017 and the Kovalenko Medal from the National Academy of Sciences in 2018.